It’s hard to think of a point in my lifetime when the banjo was ever seen as fashionable and its reputation hasn’t been helped by John Boorman’s product placement in “Deliverance”; even the ukulele’s a lot more socially acceptable. You don’t find twenty people playing an ensemble banjo version of “Bad Moon Rising” in basements of London pubs (I was only going to the toilet and now I have that horrible, indelible memory to haunt me). Anyway, what I’m saying is that the banjo’s become the guitar’s weirdo cousin that no-one invites to parties, which is a bit unfair. 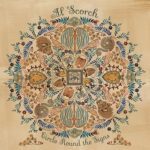 Have a listen to Al Scorch, and you might realise that our little five-stringed friend isn’t such a weirdo after all. Al’s from Chicago, he’s a tremendous banjo player /singer/songwriter and his second album “Circle Round the Signs” might just change your preconceptions. The banjo playing takes centre stage on the album, but it’s not just about banging out five hundred notes a minute. His style has a bit of a punk attitude at times, but the slower “Poverty Draft” and “Lonesome Low” (imagine “Harvest”-era Neil Young with a banjo) are great songs that offer a contrast to the fast and furious opener “Pennsylvania Turnpike” and the harmonica-fuelled Woody Guthrie cover “Slipknot”. 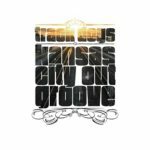 As an even greater contrast, the lovely midtempo “City Lullaby” evokes theme tunes from seventies American TV shows. Ten tracks, heaps of inventive arrangements (including a couple that feature French horn) and some deft dynamic shifts; “Circle Round the Signs” is out now on Bloodshot Records (BS 241).